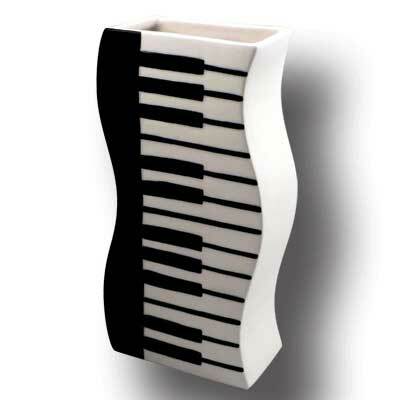 Piano Keyboard Vase – The Piano Keyboard Vase will add a touch of style and class to the home of a piano player. This stunning earthenware vase is a great centerpiece for any room in the home or office as a stand alone piece of art, or for holding flowers and plants. With its raised keyboard design, this handpainted piece of pottery makes for a truly unique gift that will put a smile on the face of any pianist! Size: 11″ x 5″ x 3″.